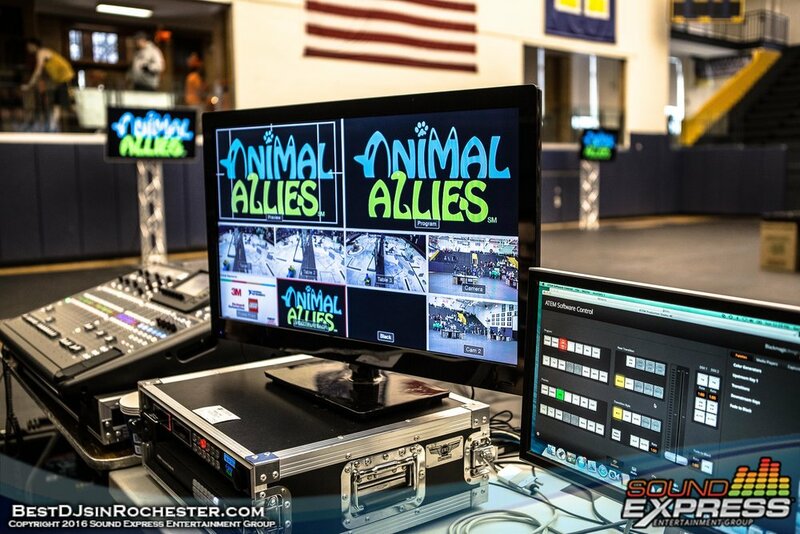 Sound Express A/V offers a wide variety of video presentation services. Big or small, we do it all! We have video screens of all sizes and a large number of LCD display options! Sound Express A/V works behind the scenes making sure your video / media content is displayed smoothly and runs at the appropriate time. Sound Express A/V offers a wide variety of screens and projector options. Your dedicated A/V consultant will work with you to choose the appropriate size to fit your event look & location requirements. LCD displays are quickly becoming a very popular option. They can be used in smaller rooms or placed further out in the room as an additional screen display (LCD displays can show the same content or display a secondary media source).